My sister and I had a good trip to MOMA, seeing the photographs and then a walk through to see Starry Night and some familiar favorites. 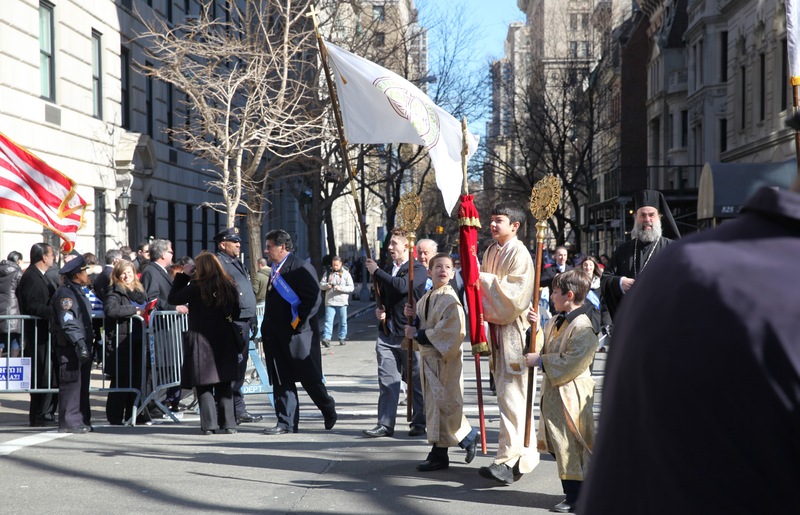 We walked up Fifth Avenue and I spoke with the flag vendor near the Plaza Hotel and he liked the sock monkey on my lens. Mary took me to see the snow leopard and their baby snow leopard at the Central Park Zoo. The fuzzy black feathered penguin who would drown if he fell in the water until his other feathers grow in. 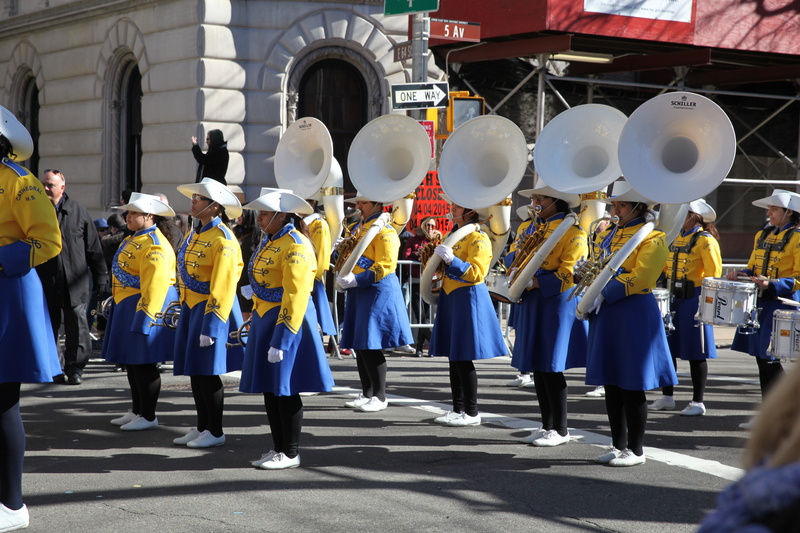 We could hear marching band drums and Mary knew it was the parade. 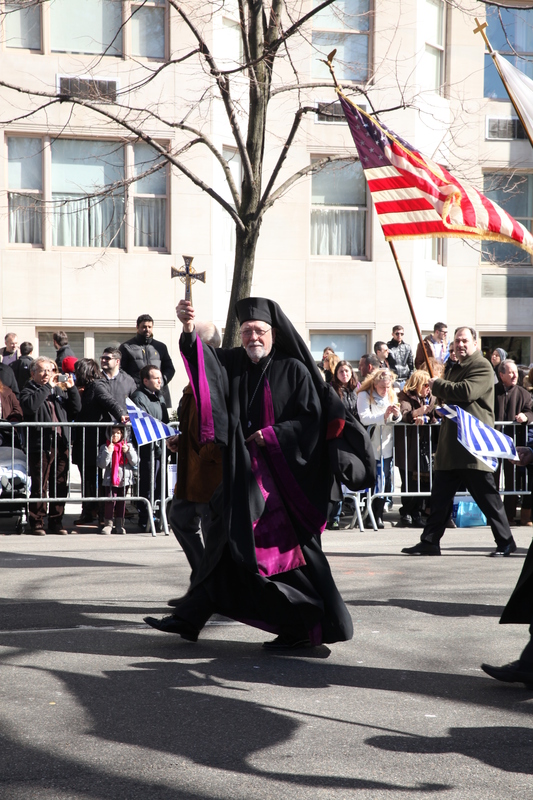 The Greek Independence Day Parade was in full swing marching up Fifth Avenue. 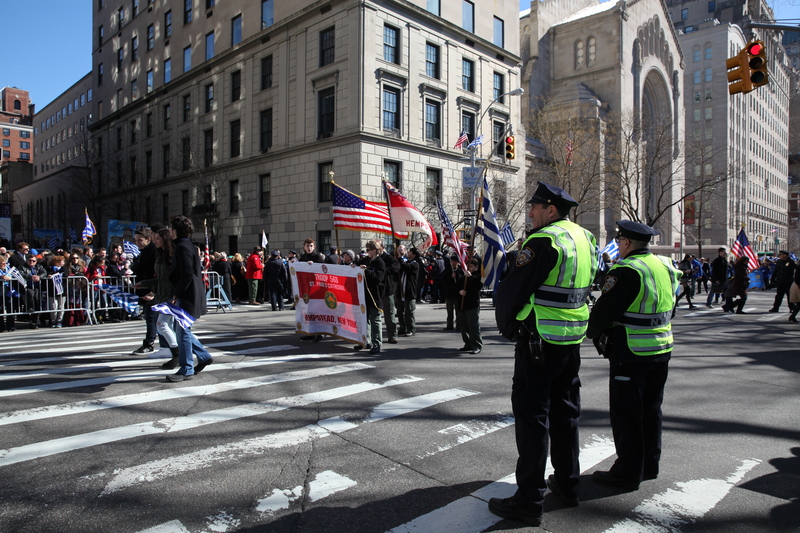 We walked toward the police barricades and watched the floats and I took a ton of photographs. 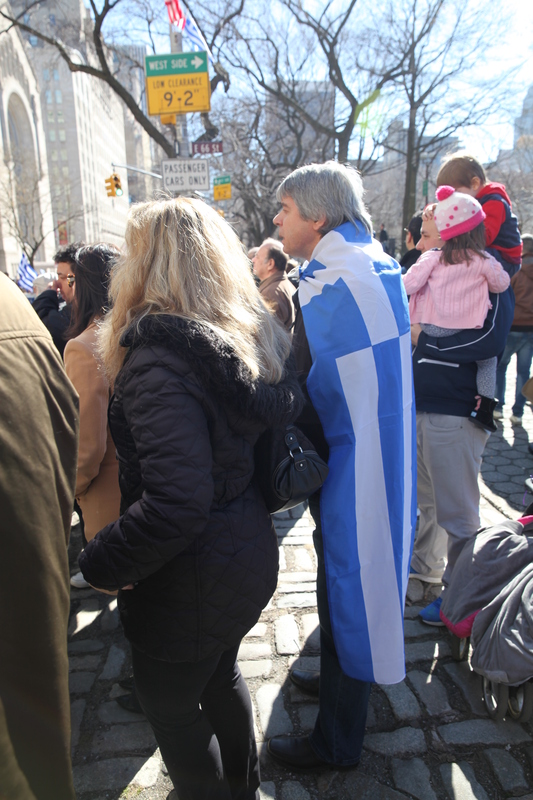 We heard a lot of Greek being spoken, it was a nice family day, people calling to the parade participants and waving. Sunny but cold! 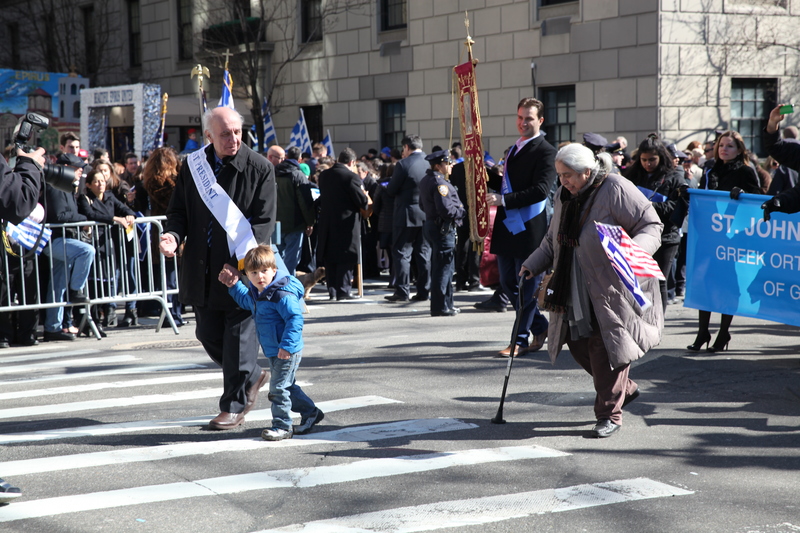 How some of the women marched in the fancy heels is beyond me. This nice woman offered us two tickets to the Grandstand to view the parade but we were cold, too. 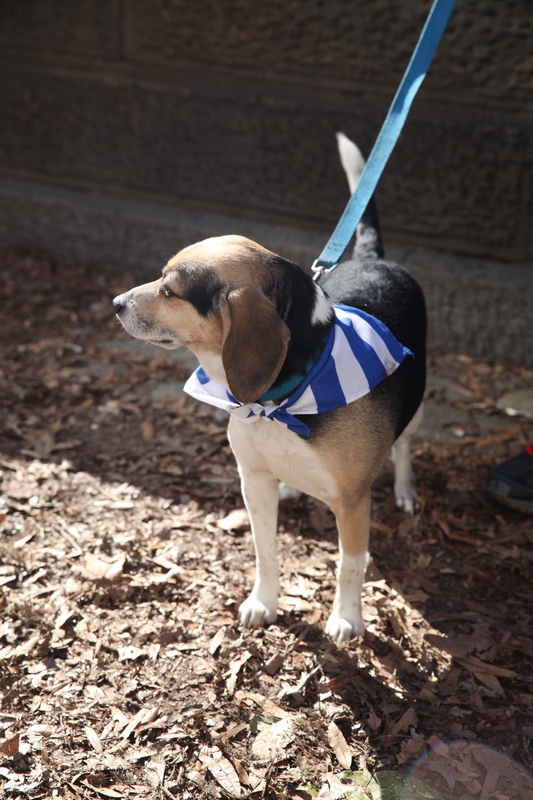 The owner let me take a close-up but the dog was more interested in the people walking by. 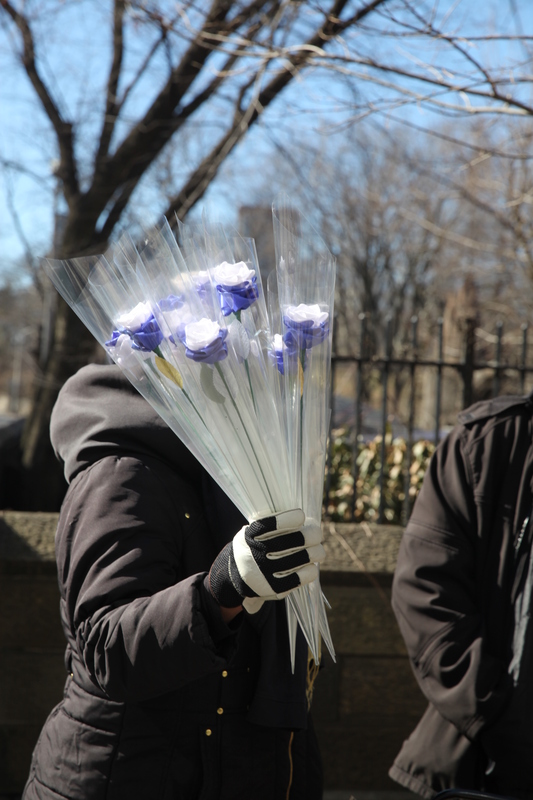 The photographer on the right was so friendly to me, telling me he wanted to be in two places at once- 79th Street where it ended. Excellent shots! 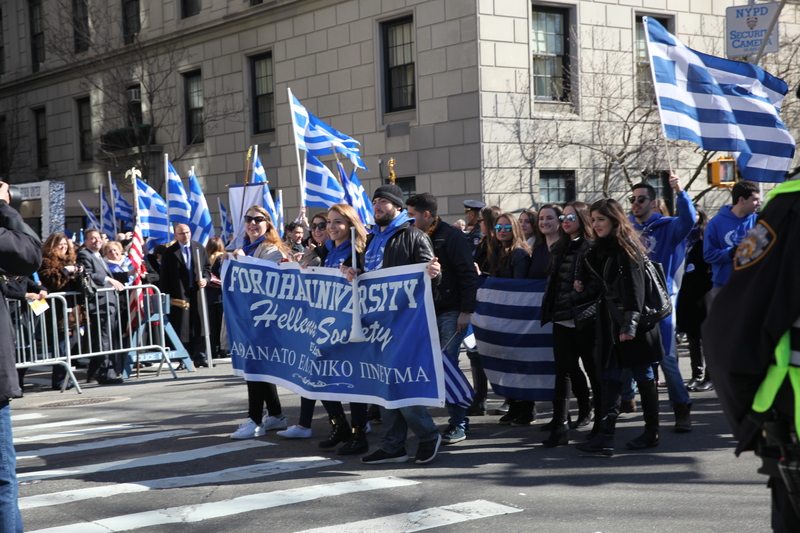 Great job done on the Greek parade! Thanks Fabio. It was a clear day! Looking forward to following you. 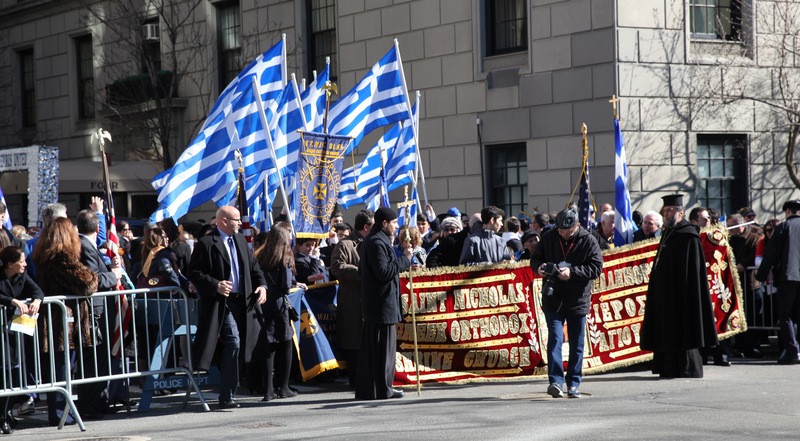 A Greek Day and Parade in NYC …. who knew? Love the gold and blue ! 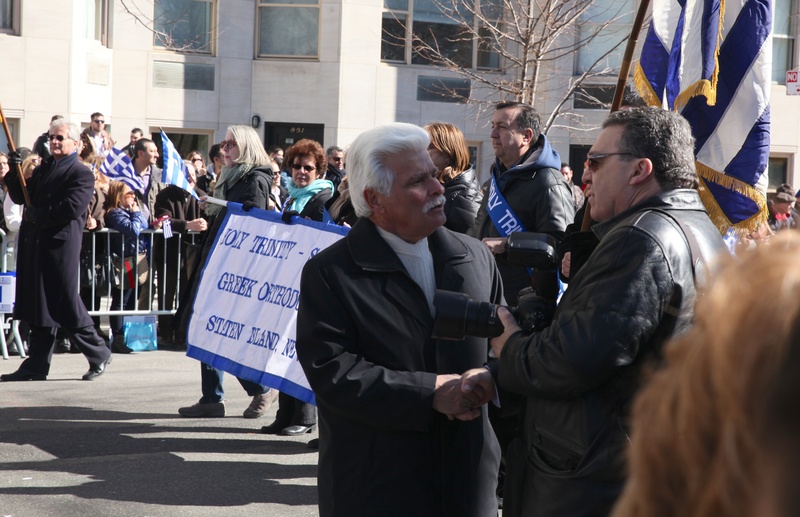 i loved the pictures – it is nice to see people supportive of their heritage. We are all Americans but its where we come from that make us special. Greece is a great place to spend time. 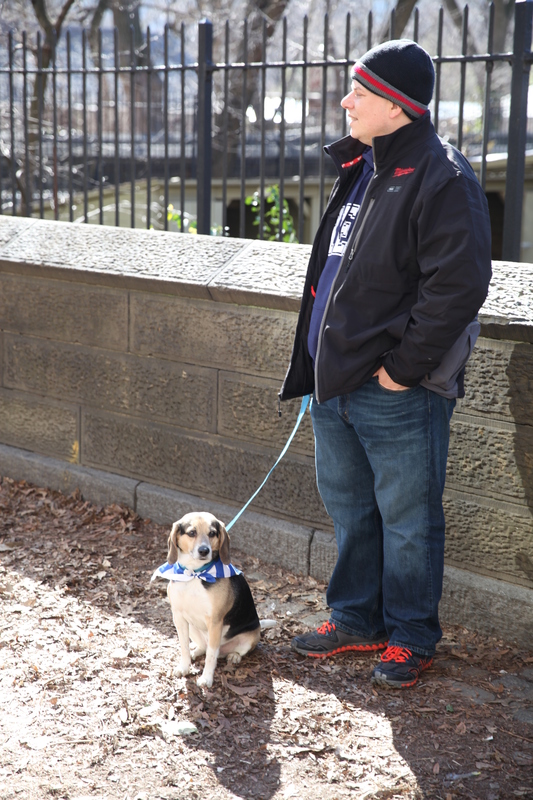 I am thankful Yoni spent a semester there so we go and visit. What a great series of pics! I feel like I was right there along side you. How those women march in stilettos is beyond me, too! Crazy town.